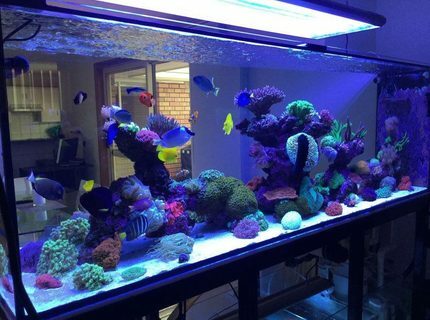 About Yourself: I have been a part of the reef culture for over 15 years. This is my second reef tank. I started with a 75 gallon tank in which I learned a lot before having the luck of getting this 200 plus tank. 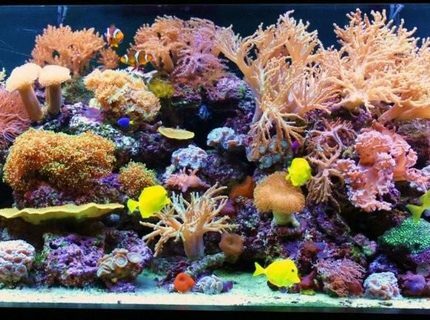 My original goal when I set up this micro reef was that every coral could be reproduced providing tank raised, hardy and colorful corals to the hobby. The tank has been successful to that goal. Advice: Research as much as you can and have a plan. 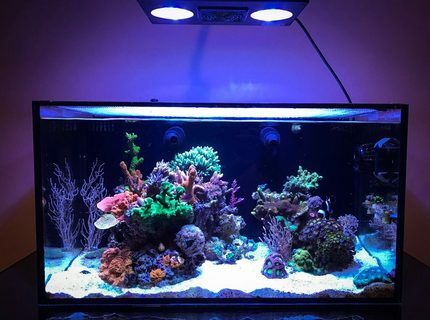 Try not to do things on the fly and think through what you need to do to be successful with anything you will have in your micro reef. This tank has been up and running since 2003. 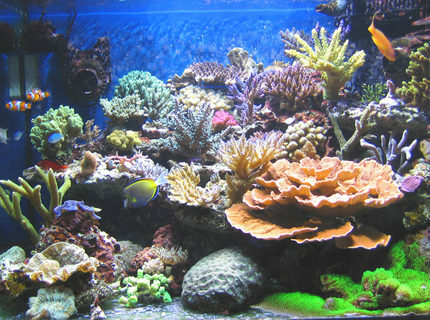 Most of the corals are a number of generations from the originals. Most of the fish are 8 to 12 years old. 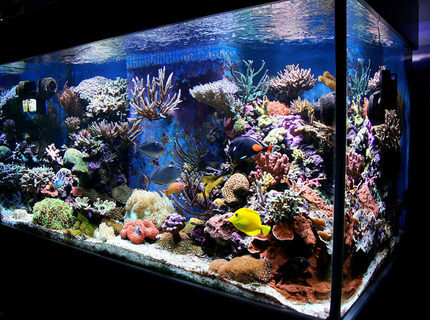 Growth in the tank is very fast and corals must be harvested every 6 to 12 months to prevent over crowding. 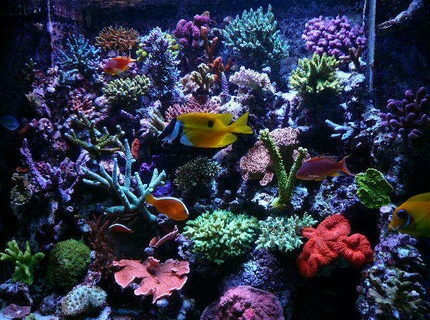 Corals/Plants: Sps. Lps. Softies. Frogs. Description: 20 gallons. Full tank shot. About Yourself: keeping marines fro about 16 years,likes photgraphy and hanging around fish shops with muppets. Advice: In my opinion the most important ingredients for successfully keeping sensitive sea animals are: Take time, much time and watch the animals closely. Changes to the system must always be done slowly. Fast changes usually have negative impacts. Don't overlook the fact that most of the available animals and decorations (LR) are taken from the oceans. As a diver in tropical waters I enjoy swimming in untouched coral-reefs, full of great and small life. The ability to do this in an incomparable system is very important to me. As a diver there is an unwritten law: "Grasp nothing, do not carry anything forward... Except photos and memories." The thought to put animals from this singular habitat into an artificial biotope seems grotesque. The uniqueness of the habitat "coral reef" is dependent on every resident. Every organism is a small, important part in the success of this wonderful world. It is necessary to understand and be conscience of these. I try to offer my animals an adequate and natural habitat. 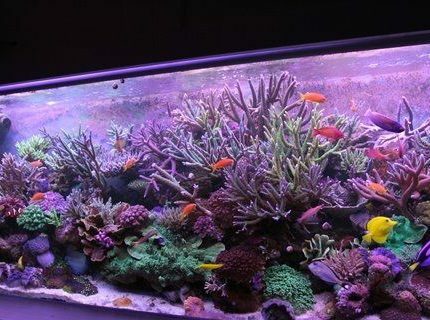 If possible, I always give after-cultivations and coral fragments the advantage. 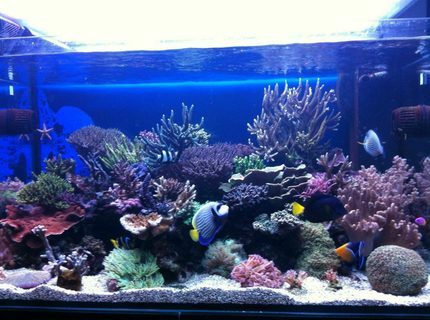 My topmost aim is keeping corals and fishes and not has to replace them. Unfortunately, there are reef keepers who replace the fishes and corals once in a while. Simply, unsuitable conditions and a lack of experience/interests are the reasons for it. I personally disassociate myself with those that do not care. 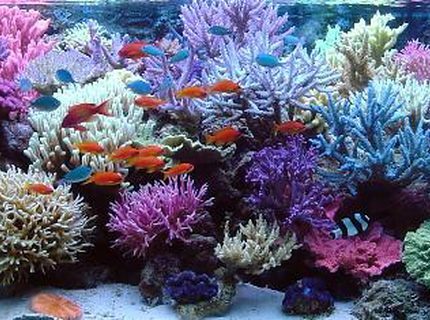 The preservation of the natural coral-reefs isn't only a thing for the governments; everybody can and should make their own contributions. Advice: Read, read and read! Patience and passion. About Yourself: my love to the ocean and natural reefs got me into this great hobby.Many thanks to all others for shareing their knoledge. Advice: Be patient, patient and patient again!! Advice: read a lot before you start. 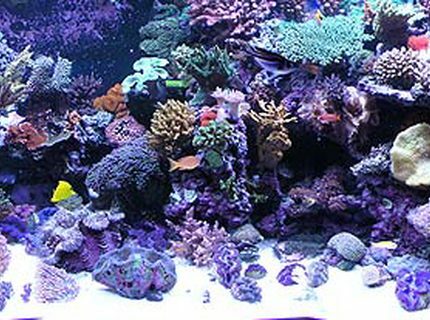 Featured Ebook: Tropical Fish Secrets: Definitive Guide To Everything You Need To Know About Reef Tanks.